The average temperature in a foundry can rise past 100 F, sometimes approaching 110 F or higher. For the Victaulic employees working in foundries like the Forks Foundry in Easton, or other Victaulic locations around the world, the safety equipment they wear to deflect heat and protect against molten metal splash burns is critical to their well-being. 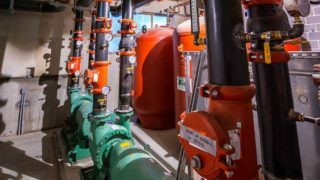 Making sure that equipment is the best it can possibly be is one of the key metrics for Victaulic as it takes steps to improve safety levels at all its workplaces. Work place safety is already deeply ingrained into the Victaulic culture. A 2012 survey of employees around the world found that Victaulic employees rank its commitment to following safety and environmental regulations above all other topics. In addition, the Forks facility was recently given merit designation in the OSHA Voluntary Protection Program. This commitment pays off in the ultimate measure: Recordable injuries have dropped by a remarkable 87 percent. For foundry workers exposed to high temperatures and molten metal, Victaulic focused on the specialty safety coats they wear that are designed to provide protection from heat and molten metal splash. Aluminized glass coats were standard across the industry but they had their own drawbacks, primarily that the material was uncomfortable for the workers required to wear it. It was not breathable and in summer months they increased the likelihood of temperature related heat illnesses like heat rash and even heat exhaustion. In his efforts to improve workplace safety and comfort for all employees working with molten metal, Zach Jerrold, Global Environmental, Health & Safety Manager for Victaulic, partnered with the Materials & Engineering Science program at the University of Alabama Birmingham (UAB) to test fabric samples for potential use in creating a more comfortable and safe state-of-the-art safety coat. While at UAB in 2013, Jerrold had a chance meeting with an engineer who was interested in developing an application for fire and heat-resistant material developed by his company. Dung Trieu from Toray Fluorofibers was at the university the same time as Jerrold to test his company’s products to the same standards Victaulic wanted its new safety jacket to meet. Jerrold explained the Victaulic vision for a more protective and comfortable material and Trieu offered proprietary product samples for Victaulic to study. Over the course of several months the two companies jointly worked with UAB to develop and test the new material. Using input from the foundry end users, they came up with a fabric that provided more protection against heat transfer caused by molten metal splash while being lightweight, breathable and much more comfortable to wear. Test results proved the Bogu PTFE (Bogu being the Japanese word for protective armor; PTFE stands for Polytetrafluoroethylene) fabric to be superior to the conventional aluminized glass coats from both a safety and comfort perspective. With testing successfully completed, finding a manufacturer to convert the material into working jackets was problematic. To solve this problem, Jerrold turned to Paul Ziegler, Union President and Safety Committee Team Member at Victaulic’s Alburtis foundry facility for a solution. Ziegler recommended Majestic Fire Apparel, another Lehigh Valley company. Majestic’s fire protection products are used throughout the safety industry as well as within the firefighting and military arenas. Working with the employees who would be wearing them, Majestic began to build prototypes for the new coats using the fabric developed in conjunction with Toray. In December, 2014, more than a year after Jerrold began his initial work in Alabama, Victaulic employees began wearing the new jackets at the Forks and Alburtis facilities. Victaulic is proud of the joint efforts with Toray Fluorofibers and Majestic Fire Apparel in developing this state of the art and technologically advanced protective wear. Sharing this advancement with other industry users will be the next step, according to Bill D’Amico, Global Environmental Health & Safety Director. Safety has been a part of Victaulic culture since its beginning nearly a century ago. Its commitment to innovation in its products and as an employer is what sets it apart as a company. 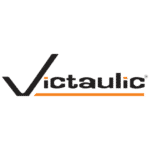 Victaulic is about more than just the products and services it offers around the world – it’s an organization committed to leading the industry with a positive impact on people inside and outside the company.